The latest issue of the Journal is out. Frankly this is the best issue in a number of years. This has nothing to do with my having a book review in the issue and one of the other articles has previously appeared in MMCL’s Tactical Notes. If you aren’t a member, join IPMS/USA now. 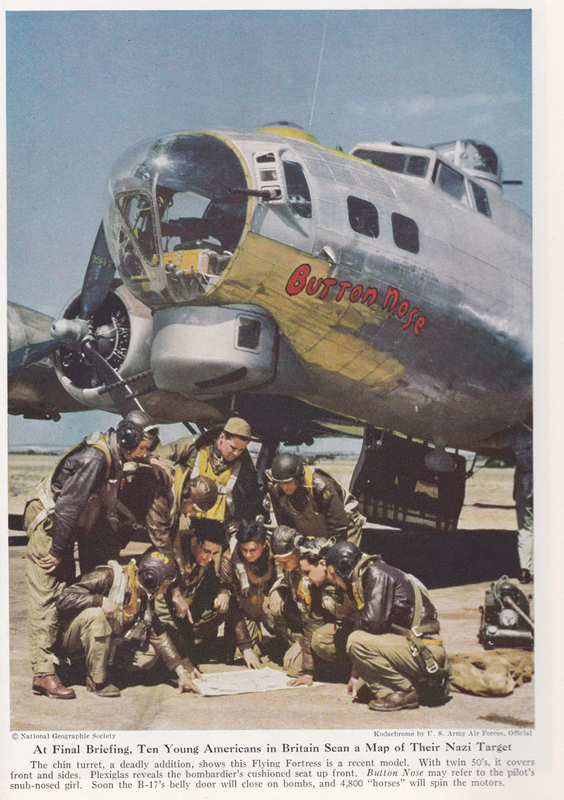 This photo of B-17 Button Nose appeared in the March 1945 issue of National Geographic. Oddly enough the aircraft itself was lost in August 1944 over France. Luckily, the crew pictured below all survived. The latest issue of RT rolled in a week or two ago and though I read it right away, I’m just getting around to doing the review. Heck, these reviews of RT could be on autopilot now. Every one is the same. It’s a great magazine; you should join IPMS/Canada. Well, it is true for this issue as well. We get part two of Jim Bates Canadian Hurricane article as well as decals to make a few of the aircraft profiled. There is also a nice build of a series of Canadian Sherman variants. 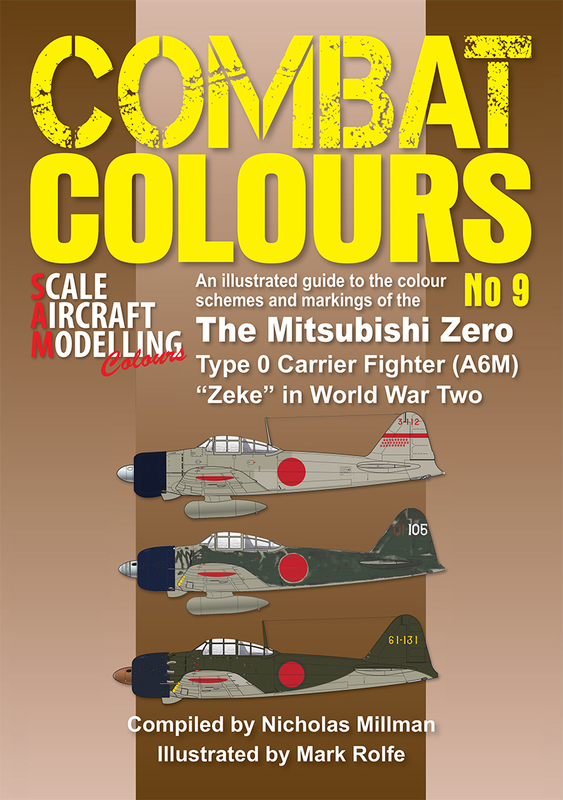 As I’ve said so many times before, it is a great magazine; you should join IPMS/Canada. Plus, free decals!!! The latest SAFO is out and it makes for compelling reading. There is an in-depth article with photos and side view drawings of the Estonian air forces which flew for the Luftwaffe. In addition there is an article on the Fiat CR.20 in Italian service and a rundown of all of the air contingents which served with ISAF in Afghanistan. As always SAFO provides some excellent reading material as well as inspiration for possible modeling subjects. Frankly, I almost get tired of writing a review of issues of RT. RT, as you know by now is the quarterly magazine of IPMS/Canada. All of my reviews are pretty much the same since I am of the opinion that RT is the best modeling magazine out there, either commercial or non-commercial. This issue is particularly good. Our good friend Jim Bates has the first part of a multi-part article on the Canadian Hurricanes. This article contains a bunch of great reference photos and represents the kind of in depth research that modelers crave. Jim has done a true service by gathering this info. In addition, there are articles on a 1924 steam powered truck, a 72nd WWII Canadian minesweeper as well as a 35th scale build of the WWII Canadian army “Otter” recon vehicle. All of these articles are well worth reading and this magazine provided great reading material on a round trip flight to DC a few weeks ago. If you aren’t already, you should become a member of IPMS/Canada right away. Tell them David sent you. and an interesting article series, if you join IPMS/Canada.